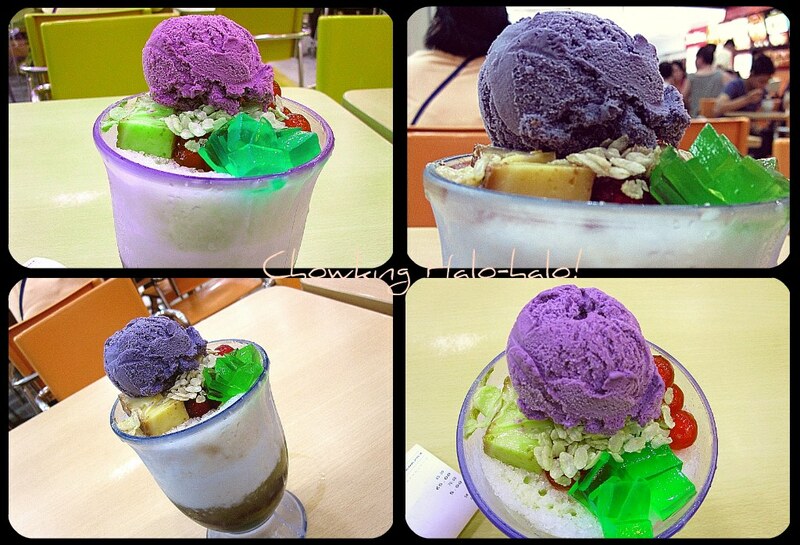 Its Chowking Halo-Halo time once again! i’d say everybody would agree to me that this year’s Philippine summer heat is way to raging that a halo-halo treat is very much satisfying to have! now the questions, which halo-halo should we try? and where does the best halo-halo come from? for this native pinoy dessert, which every single pinoy taste bud would crave for, the very popular Chowking Halo-Halo could very well be the sole answer! honestly, in last year’ summer season, Chowking’s halo-halo became my comfort food. it had almost become a daily habit for me and a couple of friends to take on this Chowking halo-halo. this year i told myself that my summer will not officially start not unless i’d be able to have my own serving of Chowking halo-halo. and finally, even though quite late, a week after holy week, i finally had my first taste of my fave halo-halo in SM Baliuag. i ordered the medium sized halo-halo (fiesta size)! since then i have been on halo-halo dates w/ my sole self around 6 times already. 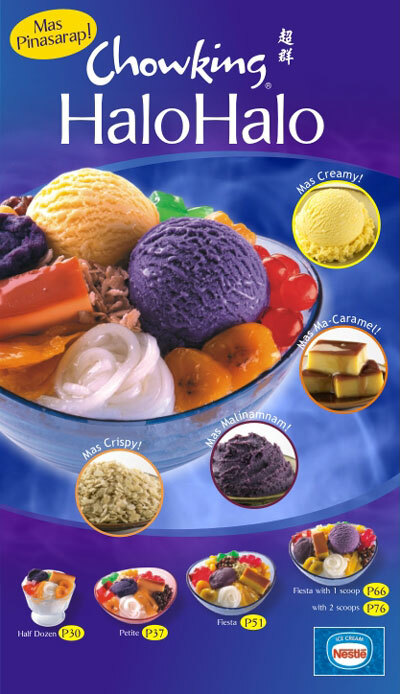 The delectable ingredients of shaved ice with sweetened fruits and beans, purple yam, sago, langka, pinipig, buko, banana, condensed milk, the ever yummy leche flan (which i eat separately) and of course a scoop of ube ice cream will definitely make anyone crave for more!